Science instruments on the FAAM aircraft are divided into two categories, core and non-core. 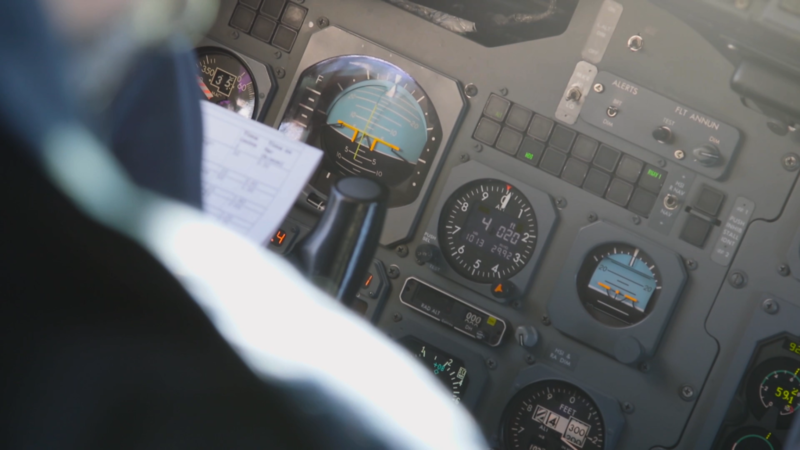 We provide and operate a set of core instrumentation on each flight. Standard instrument data can be enhanced, for example provided at higher frequency or greater accuracy, or by collaboration with another group. The data from these instruments is made openly available at the Centre for Environmental Data Analysis. Where the use of core instruments requires significant consumables, for example dropsondes and SATCOM data transfer, these additional costs have to be recovered directly from the user. The available instruments may change depending on user requirements and serviceability. As a flying laboratory, the FAAM aircraft can be equipped with up to 4 tonnes of scientific equipment to help us investigate the atmosphere. 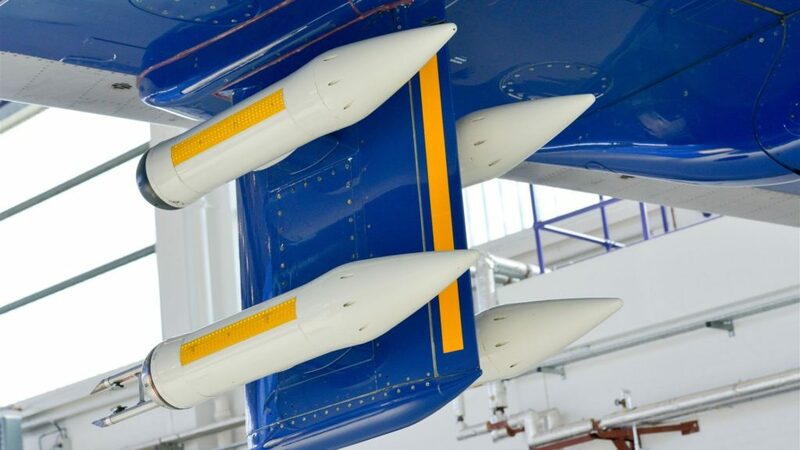 The non-core equipment fit to the aircraft varies depending on the project or application, but there is a wide range of instruments available to our users. Select an instrument category below to find out more about the atmospheric variables we can measure. Aircraft position, orientation and velocity Knowing the location of the FAAM aircraft is critical to a successful science mission, both in real-time and during analysis of the data. Velocity and airframe orientation measurements also help derive air motion, and are critical to our remote sensing instruments. The science GPS/ inertial referencing system permits all of this data to be displayed and recorded, while air speed, pressure and height above the surface are all captured from the aircraft instrumentation system. Time Time is an essential dimension used to constrain and control measurements, not only from the FAAM platform but also from satellite or ground-station data obtained in the same experiment. 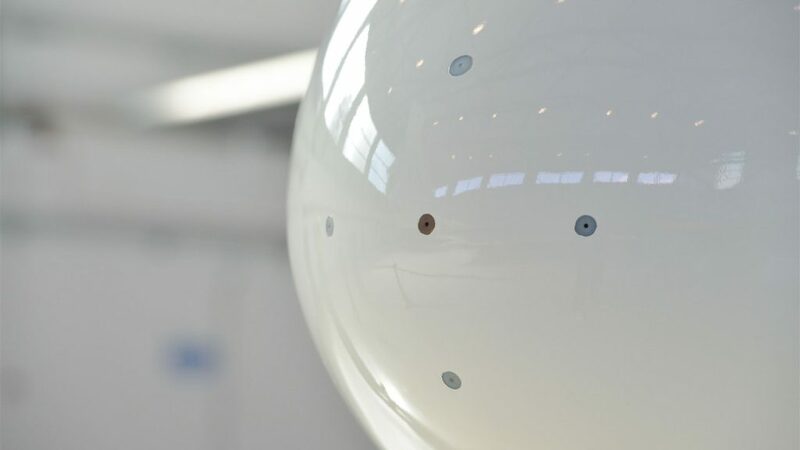 Synchronisation of all the measurement timings from FAAM’s diverse payload of instruments is achieved using a modern precision network time protocol, capable of micro-second level accuracy. High precision time signals are derived from Global Position Satellites (GPS) and relayed around the aircraft science network using dedicated hardware. 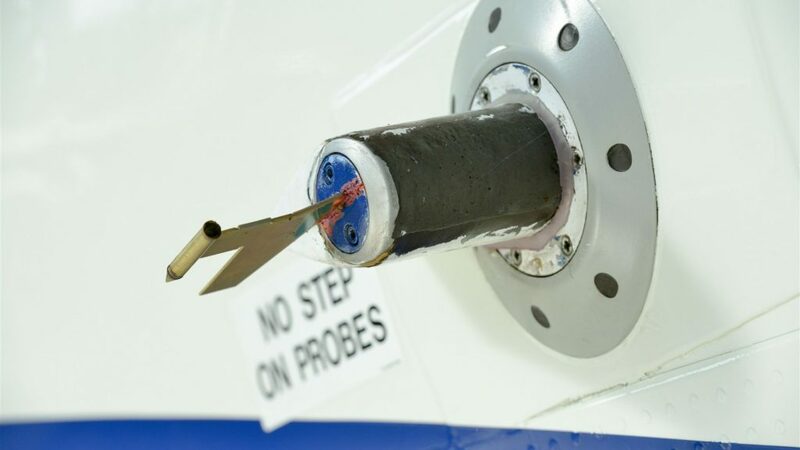 Electrical field measurements Aerosol particles, such as those found in volcanic ash clouds, have been shown to support measureable electrical fields which can interact with the aircraft airframe. Since participating in measurements of dust layers resulting from the Eyjafjallajökull volcanic eruption in 2010, FAAM have made measurements of the surface voltage of a cabin window using a field mill static monitor. Temperature Air temperature is one of the most important variables measured by meteorologists. On a fundamental level, temperature is a measure of energy in a system, and it is energy that drives the weather. The way that temperature varies with altitude provides information about atmospheric layers and inversions, and its measurement is vital for understanding dynamics such as convection. Temperature and humidity combine to control condensation and evaporation, they dictate how clouds form and the state of cloud and aerosol particles. The FAAM aircraft measures temperature using sensors that detect changing temperature using electrical resistance. These sensors are small and have a low thermal mass, meaning they are quick to respond to changes in the atmosphere. Humidity Humidity is a measure of the amount of water vapour in the atmosphere. The higher the temperature, the more water can exist as a gas before condensing to form liquid droplets or ice crystals. As air rises and cools, less water can exist as a gas, so it condenses to form cloud or fog particles. Measuring humidity is important for understanding all aspects of the weather, the FAAM aircraft measures humidity using several instruments on every mission. In addition to affecting cloud, fog and precipitation, water vapour is also a greenhouse gas and can also affect the size and physical properties of aerosol particles. This means it is vital to the understanding of climate and climate change. Air motion Onboard scientists combine pressure measurements with knowledge of the aircraft motion to observe small and large scale variations in wind. Turbulent wind measurements are required to understand the interactions between the atmosphere and the land or sea surface in the lower level of the atmosphere. Weather patterns such as fronts and low pressure systems are closely related to the motion of air caused by variations in atmospheric pressure and the rotation of the planet. Wind direction and speed tell us about the history of an air parcel, which can give insights into humidity, aerosol and chemistry. 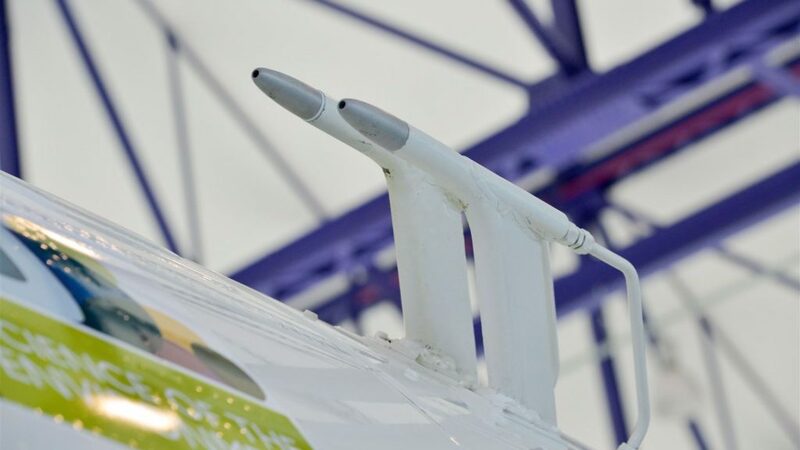 For example, during a mission to measure a plume of air pollutants it is important to know the wind direction so that the aircraft can be positioned down-wind of the source. In addition, the wind will give information about how far the plume is likely to have dispersed. Pressure Pressure is an important physical quantity that drives large scale dynamics in the atmosphere. Understanding the atmospheric pressure is important for studying weather and climate processes. Measurements of air pressure have two major operational uses on the FAAM aircraft. Firstly, air navigation relies on accurate measurement of air pressure to determine altitude. Secondly, many measurements taken on the aircraft are dependant on, or subject to correction for, changing ambient air pressure. Carbon Dioxide & Methane Carbon Dioxide (CO2) and Methane (CH4) are the two most significant greenhouse gases present in the lower atmosphere. Atmospheric concentrations of CO2 and CH4 have risen dramatically since the pre-industrial age, and continue to rise at an ever-increasing rate to this day. Various human activities make a notable contribution to atmospheric CO2 and CH4 levels, such as offshore drilling for oil and natural gas and the burning of fossil fuels as a source of energy. CO2 and CH4 are classified as greenhouse gases due to their ability to strongly absorb infrared light emitted from the Earth’s surface. This effectively traps the infrared light emitted from Earth as heat, and could contribute to the warming of our atmosphere. Fortunately, the infrared absorbing property of CO2 and CH4 can be exploited in the form of infrared spectroscopy in order to determine the atmospheric concentrations of these gases. FAAM uses a fast greenhouse gas analyser with two infrared lasers to determine atmospheric CO2 and CH4 concentrations to a high degree of accuracy. Particle Soot Absorption Photometer Light absorption by aerosols contributes directly to the temperature of our atmosphere. Incoming solar radiation is absorbed by aerosols and subsequently heats the atmosphere. Absorption of solar energy can also affect cloud formation, cloud lifetime and atmospheric dynamics. The absorption is mostly caused by black carbon with smaller contributions from brown carbon and mineral dust. FAAM uses a Particle Soot Absorption Photometer (PSAP) to make measurements of aerosol absorption. This instrument employs a simple filter technique to make accurate measurements. Nephelometer The scattering of incoming solar radiation by aerosols has a direct effect on the temperature of our planet. The incoming solar radiation is scattered, never reaching the surface. In essence this process makes the planet more reflective, it has a cooling effect as it reduces the amount of heating from incoming solar radiation. On the global scale, sulphate, nitrate and mineral aerosol have the largest cooling effect. The scattering of light by aerosols also affects the visibility of the atmosphere. FAAM measures the aerosol scattering using a nephelometer. Cloud Condensation Nuclei Counter Clouds can only form in the atmosphere in the presence of aerosol, these aerosol provide a surface area for water vapour to condense onto. The fraction of atmospheric aerosols that can form cloud droplets are known as cloud condensation nuclei. Aerosols have both a direct and indirect effect on the temperature of the planet. 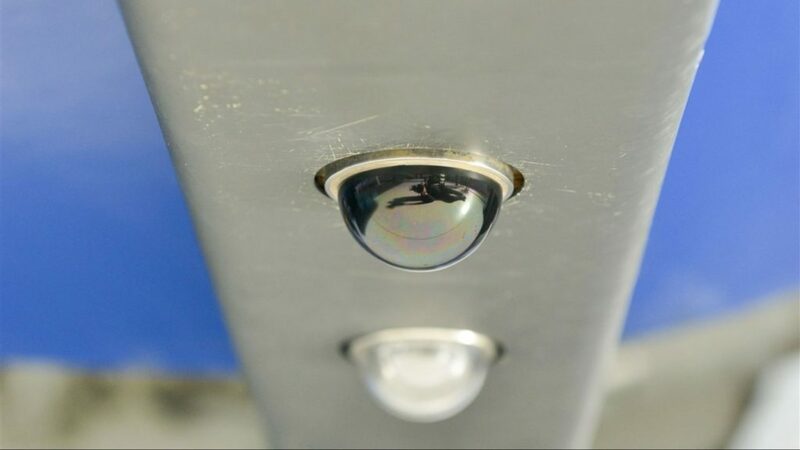 The indirect effect considers the way in which aerosols modify the microphysics of cloud droplets and the knock on effect this has on cloud droplet number, brightness, height and longevity. Overall the indirect effect has a cooling effect on atmospheric temperature and is currently highlighted as having a very low level of scientific understanding. FAAM measures the proportion of the aerosol that are able to form cloud droplets using a dual column Cloud Condensation Nuclei Counter. Aerosol concentration (0.03 to 2.5um) Atmospheric aerosols cover a large size distribution from the nanometre to the millimetre scale. Detailed information can be measured at sizes larger than 50 nanometers using optical particle counters and optical array probes. The smaller sizes, which dominate the aerosol number, require more accurate measurements. 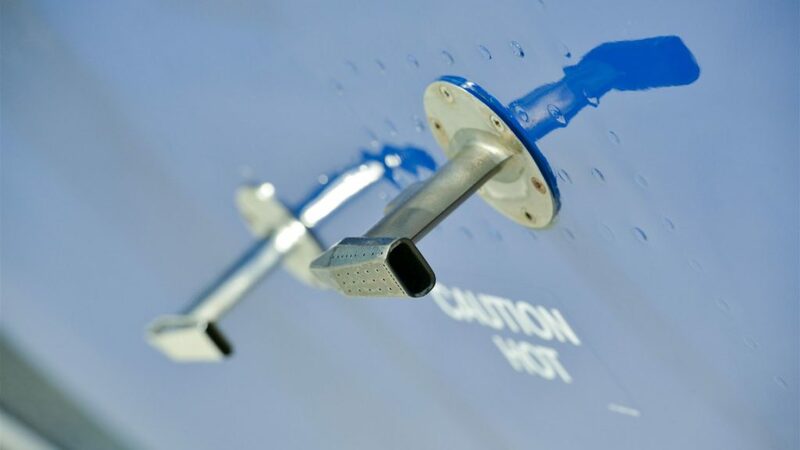 On board the FAAM aircraft, we use a specially modified water-filled condensation particle counter. Filter collection Modern aerosol instruments are capable of making fast, accurate and precise measurements of aerosol characteristics in situ in the atmosphere. However, there will always be some aerosol properties that require offline analysis, such as scanning or transmission electron microscopy. 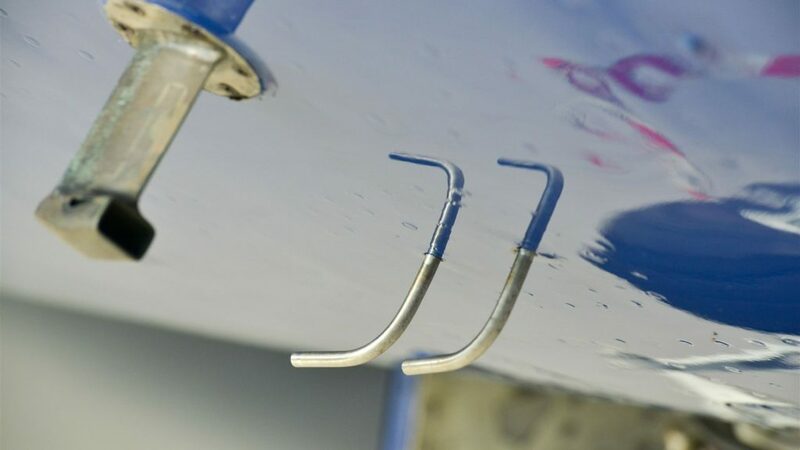 FAAM provide a high flow filter collection system with dedicated isokinetic inlets allowing for multiple filters to be exposed and removed post flight for offline analysis. Cloud droplets Clouds play a significant role in the Earth’s climate by modifying the energy balance of the atmosphere. Wide variation in size, phase and shape of cloud and precipitation particles, along with the weather conditions in which they exist, limits our understanding of this role and as such constitutes a major uncertainty in climate models. In situ measurement of the cloud particles attempts to address some of the uncertainties in cloud processes (formation, growth, state changes, and dissipation) on the microphysical to local scales. One fundamental property measured is the particle size distribution, which is the concentration of particles of different sizes in a particular parcel of air. Integration over all sizes allows the calculation of bulk water properties which are also measured independently. Particle concentration and size must be measured differently for different particle size ranges due to technological challenges, so data from several instruments is combined to build up a size distribution over all sizes. Cloud particle state & shape The microphysics and energy exchange of warm water clouds are simplified as the properties of liquid water are well known and the assumption of spherical shaped particles is appropriate. However, these types of clouds are in the minority, most being made up of mixed-phase or ice particles. Ice particles present widely different habits or shapes depending on the ambient temperature and humidity, and different shapes have different climatic influences. To assist in satellite retrievals and models, typical ratios of types of habits and sizes must be assumed and these are based on in situ measurements of the cloud particles. Imaging probes are used to obtain a two-dimensional representation of individual particles with different probe technologies being able to quantify particle shape for sizes from 15 µm to 6 mm. Bulk ice & water content The amount and variation of total condensed water content is an important descriptor of clouds. Clouds with many small droplets may have the same total water content as clouds made up of fewer, larger droplets. Total water content may be divided into liquid and ice water contents. These bulk quantities, obtained by aggregating many measurements within a cloud, can be measured independently of particle-by-particle techniques and so provide a useful sanity-check for both types of measurements. They are often collected with a higher sampling rate and cope with higher water contents. Solar irradiance Energy from the sun is a highly significant factor in understanding atmospheric processes. We interpret the behaviour of solar energy as it interacts with the Earth’s atmosphere using many different instruments aboard the FAAM aircraft. The simplest instruments measure the broadband radiative flux across a wide wavelength range of visible light, both from above and below the aircraft. Brightness temperature A radiation thermometer makes measurements of the earth’s surface or cloud tops which are visible beneath the aircraft along its flight path. Accurate surface temperatures can be derived by accurately modelling the intervening atmosphere between flight level and the surface or cloud. This is typically done by calibration against retrievals of surface temperature from the Met Office Airborne Research Interferometer Evaluation System spectrometer, for correction of emissivity variation and atmospheric effects. How do I add new kit to the plane?